THE EDINBURGH MARATHON FESTIVAL (EMF) has launched a brand new initiative focused on increasing the fitness and wellbeing of children at schools in Edinburgh, the Lothians and Fife. 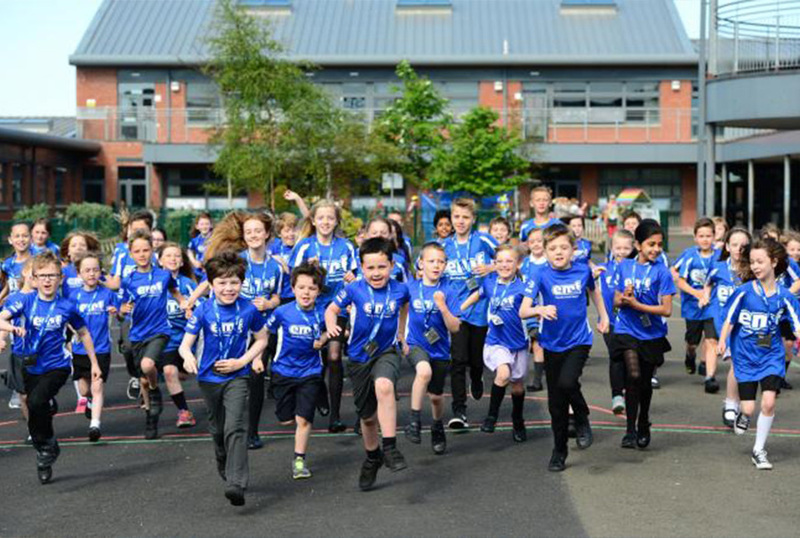 The ‘Super Active Schools’ campaign will recognise and reward local schools who have entered the most pupils into the EMF junior races. Each Super Active School will receive a certificate of achievement alongside a monthly spotlight on the EMF social media page and e-newsletter. In 2016, the EMF junior races sold out for the first time ever which, alongside the success of the ‘Daily Mile’, proved a catalyst for EMF to introduce two new junior races for 2017, alongside the ‘Super Active Schools’ campaign to continue to recognise the impact that the initiative has made in schools throughout Scotland. “We look forward to next year’s Edinburgh Marathon Festival already and are excited to hear that there will be an even wider range of races for the children to participate in.” said Mrs Hopkins, Principal Teacher. The junior races provide a brilliant opportunity for children of all ages to get involved with the sporting competition over the weekend, as well as giving them something to aim and train for. Each finisher receives a medal, wicking technical finishers t-shirt, race recovery pack, chip timed result and a fantastic running experience. Find out more about how to become an EMF Super Active School at www.edinburghmarathon.com.